Fennik Item Builds Guide for Arena of Valor (AoV). Each build is geared toward a different play style, so choose one that fits your personal preference. These items are necessary in order to play Fennik optimally. Only diverge from a core item if you are a very experienced player or you have a very good reason for doing so. Scorching Wind Fennik is often played in the jungle and will need Scorching Wind when doing so. Fennik in particular gets a lot of benefit out of the item, as it allows him to apply stacks of Theif’s Mark to enemies extremely quickly. Rankbreaker Rankbreaker is a fantastic item for Fennik, particularly early game. The armor pierce that it offers will help him tear through towers, monsters, and heroes with his heavy burst damage. The movement speed that the item additionaly offers will help the ganking-centric fox by allowing him to move quickly between lanes and set ganks up for his team. Muramasa Muramasa is a great way to rip through opponents’ armor, especially those who have been stacking large amounts. 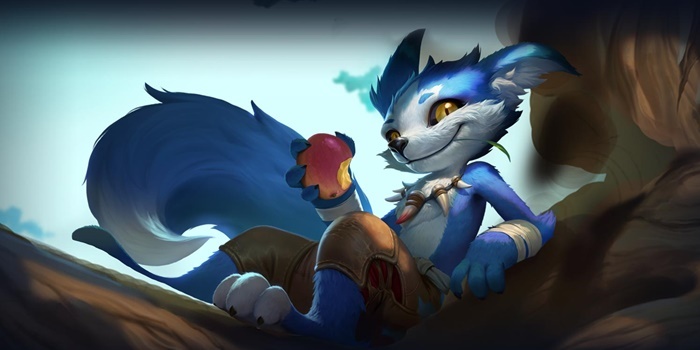 The cooldown speed that it additionally offers will help Fennik throw out Thief’s Marks more frequently as well as keep his escape more readily available. Claves Sancti Claves Sancti is an exceptionally effective item on most marksmen, Fennik included. The combination of attack damage and critical rate is an amazing boost to a hero’s damage output. The movement enhancing and critical damage increasing passives push the item from good to great, giving Fennik a lot of chasing, running, and killing potential in a single slot. Slikk’s Sting Slikk’s String amplifies Fennik’s killing potential while also making him a bit more slippery. The item grants invaluable Resistance each time the wielder scores a critical hit, allowing Fennik to slip out of control and roll to safety. Fenrir’s Tooth This item drastically raises Fennik’s killing potential. Aside from the damage, attack speed, and life steal it offers, its health ripping passive pairs very well with Fennik’s reliance on attack speed. Death Sickle Death Sickle is often overlooked in favor of things like Ancestral Glory, but Fennik can make good use of the item. Use the invinicibility it provides to roll away to safety or to get some burst healing through Bow of Slaughter. 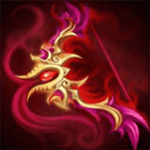 Bow of Slaughter Bow of Slaughter greatly increases Fennik’s sustain in critical team fights, providing a ton of lifesteal with the active. The attack damage and critical chance also helps him secure objectives faster with his passive. War Boots War Boots is the most obvious choice for Fennik, the additional attack speed helping with his damage output both when atttacking normally and when applying Thief’s Marks to his enemies. Gilded Greaves Gilded Greaves is a great item against team compositions with a lot of crowd control and magic damage. It offers resistance, helping the wearer escape from control effects. Sonic Boots Sonic Boots is good when facing off with physical damage heavy teams. It provides both armor and a passive that reduces damage from normal attacks, making it a very effective way at staying alive against enemy marksmen or warriors. Hermes’ Select Hermes’ Select is good for junglers, helping them quickly move between the lanes. Pick this up when enemies regularly over extend and you want to capitalize on their mistakes as much as possible. Here we build up from Scorching Wind, using the attack speed it provides to tack on Thief’s Marks as fast as possible. Rather than typical marksman items that generally have critically striking in mind, here we either sprang for armor pierce to allow the Thief’s Marks to do as much damage as possible when they detonate. In addition, as an on-hit item, Fafnir’s Talon synergizes well with attack speed while additionally providing a few beneficial stats as well and Fenrir’s Tooth will ensure that enemies who survive the initial burst can be dealt with before they are able to properly retaliate. While a much less position for the marksman, Fennik can be played in lane as well. We tried to strike a balance here between the two previous builds, giving him decent amounts of attack speed and attack damage. Fenrir’s Tooth and Rankbreaker will ensure that each attack and ability has adequate amounts of power behind it while Fafnir’s Talon and Omni Arms will keep them steadily coming out and applying Thief’s Marks and other effects to their targets. My current Fennik build consists of either Scorching Wing or Soul Reaver, War Boots, Rank or Mura, Claves, Slikk’s, Fenrir’s. This is technically 2 builds being scorch, war, rank, claves, slikks, Fenrir and Soul, war, mura, Claves, slikks, Fenrir. what’s the meaning of aspd? Great guude, exactly what i’m looking for. Why theres no death sickle on those build, imho that item is good to have on fennik. Err why using the beast (if thats really the beast) instead of fafnir.. This was a mistake on my part. I forgot to update the image/link when updating the guide. I apologize. Thank you for letting me know! Given how limited the pool of heroes who can properly benefit from Death Sickle is, I can forget about it when looking into items for these guides. You are right, however, in that Fennik can make good use of the item, so I think I will add it to his optional items.